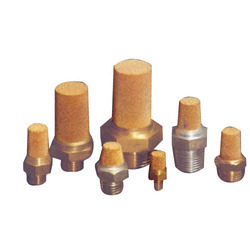 We are a trusted entity in this domain, devotedly committed to offer a vast assortment of high quality Bronze Silencer. Our offered range is fabricated by our experienced professionals in complete compliance with the international quality standards. This silencer is used especially in pneumatic and hydraulic equipment. 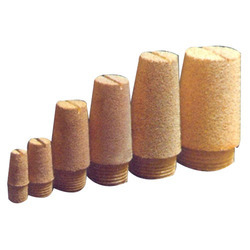 Further, high quality raw material and contemporary technology is used in the production process of this silencer.Sintered Bronze Silencer is suitable for various rugged industrial applications. Offered range can be availed in various dimensions and specifications as per clients need. Offered range of silencer is resistant to atmospheric corrosion, inorganic chemicals, dyestuffs and many more. In addition tot his, these are easy to install and offered at industry leading price. Looking for Bronze Silencer ?